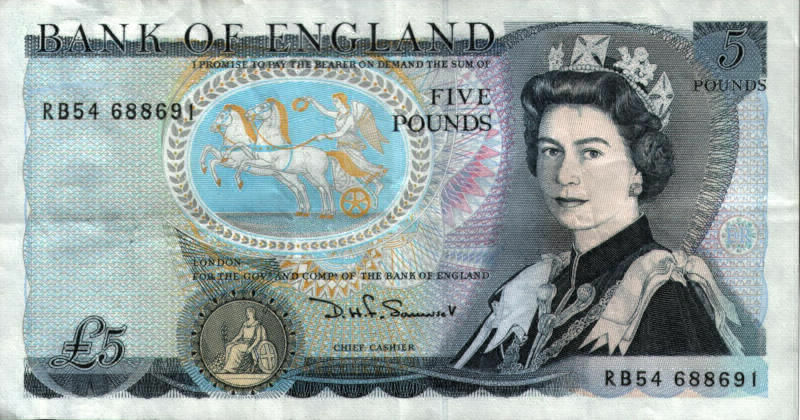 This Old Five Pound Note, number RB54 688691 is signed by the Chief Cashier at the time D H F Somerset. 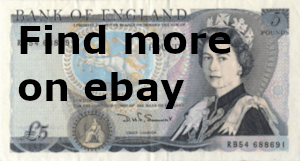 David Somerset, or David Henry Fitzroy Somerset worked as Chief Cashier from 1980 to his retirement in 1988. 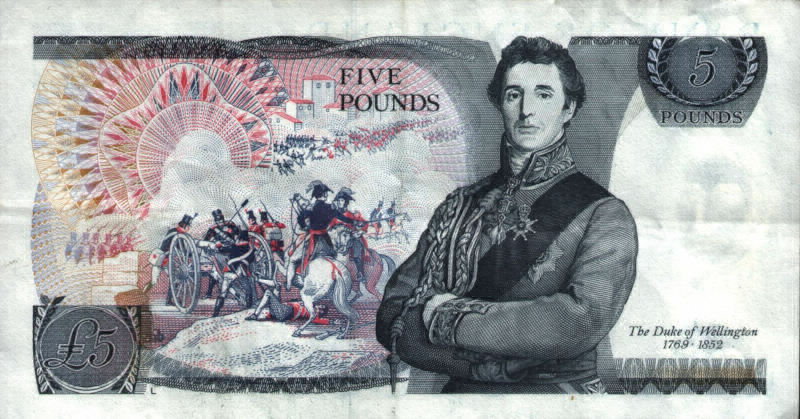 The Duke of Wellington £5 was issued on the 11th November 1971 and Withdrawn on the 29th November 1991.